Months of speculation, rumors, leaks and reports have finally led to the main event: Apple actually, officially announcing the new iPhone. It’s here and it’s not all that different from what the leaks and reports had made it out to be. 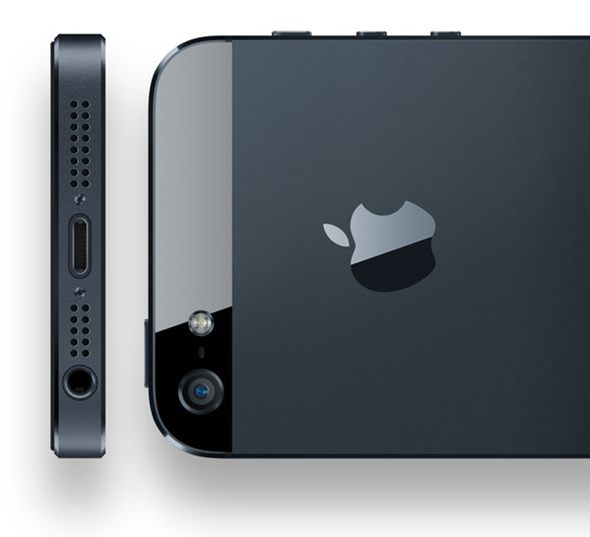 As expected, the iPhone 5 comes with an evolutionary design update, along with specifications bump that puts it at the level of fellow high-end Android smartphones like the HTC One X and Samsung Galaxy S III. The first and foremost feature people will notice is the design. The general shape is quite similar to the iPhone 4 / 4S with its metal band, and flat front / back. The biggest noticeable differences are its increased display size and aluminum + glass back. 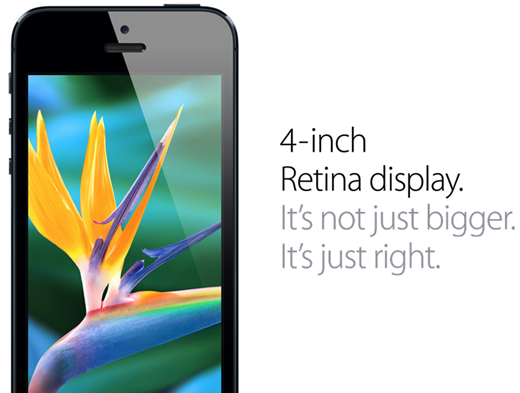 iPhone 5 comes with a widescreen 4-inch Retina display with a resolution of 1136 x 640 with a pixel density 326PPI. This makes the new iPhone the same width as the iPhone 4S, only taller / longer depending on which orientation you’re looking at it. Once apps get updated to support the new display, they will show more content. All apps will benefit from this feature, as games will be more immersive, Reeder / Facebook / Twitter will let users see more items, movies and TV shows will play in widescreen without letterboxing etc. etc. Keeping in line with the rumors, the iPhone 5’s headphone jack has been relocated and is now at the bottom of the device. The display has 44% more color saturation than the previous generation iPhone, and features integrated touch technology, which means that the iPhone 5’s display and the touch sensors have been united once and for all. This makes the iPhone 5’s display the most accurate and the most advanced display we’ve ever seen to date. Following their old tradition of ‘thinner and lighter’, the iPhone 5 weighs in at just 112 grams, is 20% lighter than the iPhone 4S and is the thinnest smartphone to date with a depth of just 7.6mm. Instead of glass and glass only on the back like with the iPhone 4 / 4S, the iPhone 5’s back plate is two-toned: there is glass at the very top and bottom, but other than that it is all metal. This is a welcome design feature, as the weak non-Gorilla-Glass of the 4 and 4S was a rather serious problem. The same old Home button sits at the center, underneath the screen, the volume buttons on the left hand-side, along with the mute/un-mute switch. The iPhone 5 has three microphones, one at the back, one at the front, and one at the bottom, which provides better sound quality, and improved noise cancellation. Let’s talk specifications now: the iPhone 5 is powered by a an A6 processor which is two timesfaster than the A5, so you can rest assured that everything loads quicker, apps load faster and games look stunning. Android enthusiasts can finally stop claiming that their phones are technically superior as the iPhone is now right up there with them! Last year, it was proved with benchmarks that the iPhone 4S’ 800MHz A5 dual-core chip was faster than the 1.2GHz dual-core Exynos chip on the Galaxy S II and Snapdragon processors on other HTC phones. The same may just happen again this year. We’ll have to wait and see for the first benchmarks to come in. The device’s speaker has shrunk down 20%, and the earpiece now supports noise cancellation for crisp and clear voice calls. Wideband audio has also been introduced, which means that you can hear frequencies which you couldn’t on previous generation iPhones, in short, the lower and higher frequency sound bits are more audible during a voice call. Another big new feature is the support for 4G LTE. Earlier this year, the iPhone 4S received an update that changed “3G” to “4G” in its status bar when using AT&T’s HSPA+ network, but that was not at all close to the speeds offered by 4G LTE which Windows Phones and Android smartphones have been supporting since late 2010. Having 4G LTE means users will see marked improvements in streaming heavier content like HD videos and high quality audio streams. HSPA+ in the iPhone 4S supported speeds up to 42Mbps, LTE is the next big thing on the iPhone 5. 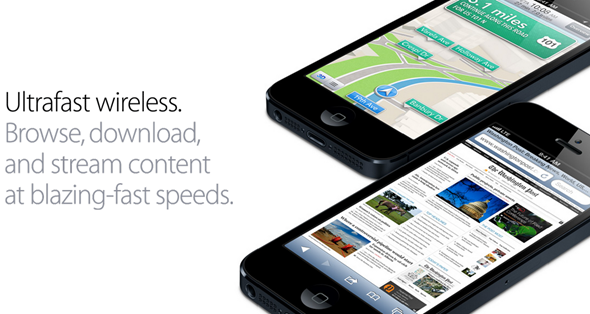 4G LTE on the iPhone 5 supports speeds up to 100Mbps. Like we said before, your content is now at your finger tips, pages load faster, videos play way too quicker, and images literally pop to your face when you’re going through content on the web. Wi-Fi now supports two bands, 2.4Ghz and 5Ghz, what does that mean for the average Joe? Well, if you have a supporting Wi-Fi router at home, then you can rest easy that dropped signals won’t be an issue at your end. Big win here. Optics receive an improvement, too. Despite having a year to improve their cameras, other smartphone manufacturers (save for Nokia) have still not come up with optics that totally beat the iPhone 4S’. This hasn’t stopped Apple from improving things, though, as the camera on the iPhone 5 gets dynamic low light mode, precision lens alignment, sapphire crystal, so your images come out in far greater quality while maintaining the same image resolution – 8 megapixels. 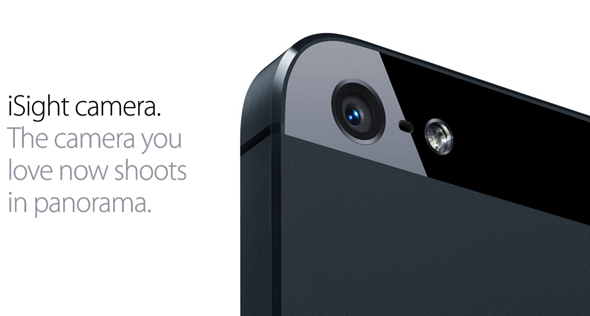 The front-facing camera’s resolution has been increased to 720p HD from VGA on previous phones. Here comes the fun part in the camera, the iPhone 5 comes with Panorama mode, so you can capture wide landscapes with ease, and saves the image at a whooping 28-megapixels resolution. The front facing camera has received a bump as well, and now sits at a respectable 720p resolution, which takes FaceTime to a whole new level, which is: HD! What’s better than an HDFaceTime call? Exactly. The battery has been improved as well, and gives up to 8 hours of battery life on LTE, which quite honestly steamrolls the competition out of the water. Apple has managed to match, and improve upon the iPhone 4S’ battery to take things up a notch while on the go. The iPhone 5 also features the new smaller dock connector, which is USB 3 compatible, making it over 10 times faster than it’s USB 2 30-pin connector counterpart. The new dock connector has been named Lightning, which quite frankly, fits in very well with the speeds it has to offer. The major features of the new Lightning dock connector are: is is 80% smaller than the previous 30-pin connector, it has an adaptive interface, more durable, and can be plugged in to the device in any orientation. Despite having a small and improved dock connector, older accessories seemingly look out of date, but thankfuly, Apple themselves are offering a dock connector converter for the iPhone – named the Lightning to 30-pin Adapter – which will allow you to use your older accessories with the newer hardware. All older accessories are compatible with the iPhone 5, excluding cases and sleeves. 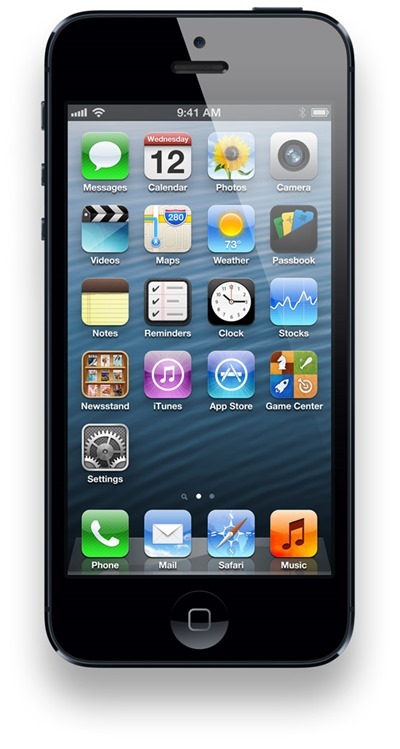 The iPhone 5 uses a new type of SIM card, which on many occasions have been referred to as Nano-SIM. Those iPhone users who are great with their scissor ninja skills and can cut down a regular SIM to a Micro-SIM will be disappointed to know that the Nano-SIM is completely different from the Micro-SIM and cannot be made at home. Hence, you have to get a new SIM card from your network carrier, which is compatible with the iPhone 5. Pricing is the usual we’ve come to expect over the last three years. The 16GB, 32GB, and 64GB models cost $199, $299, and $399 respectively with a two-year contract from AT&T, Verizon or Sprint. 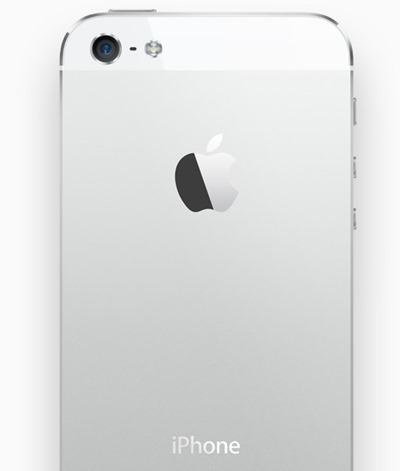 The iPhone 5 will be available in two colors – black and white. 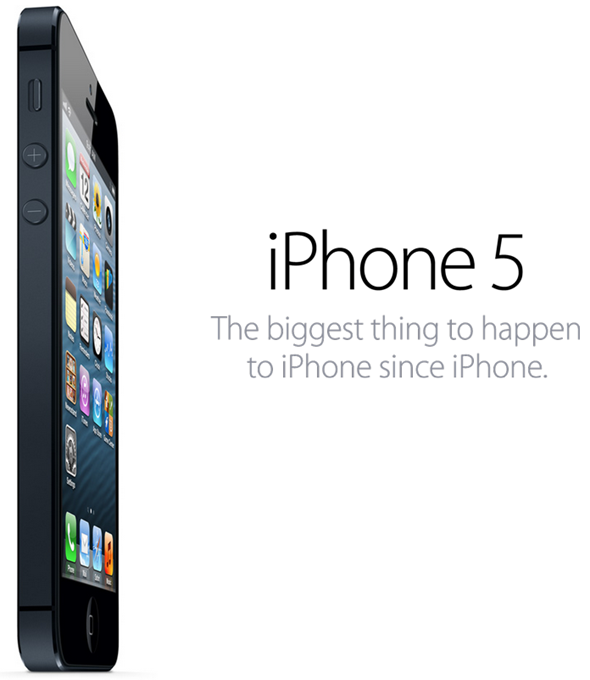 The new iPhone 5 will go on pre-order on September 14th and will ship on September 21st. From September 14th it is available for pre-order in the following countries: United States, Canada, UK, France, Germany, Australia, Japan, Hong Kong, Singapore. And after 28th September, it will be available in 100 more countries around the globe. The I phone 5 is a amazing cell phone in the world and I phone 5 release few days before. Iphone 5\ price not conform because different countries market.